Puppy pads are incredibly useful for dogs and puppies that are left alone for longer than they can “hold it,” senior and disabled dogs, people who live in apartments, do not have fenced yards, or otherwise are not able to let their dog out frequently. It’s perfectly acceptable to use them part-time or full-time in accordance with your dog’s needs and your lifestyle. But, there are some reasons why you might want to ditch them. You might not be able to keep the potty odors from dispersing through your home. 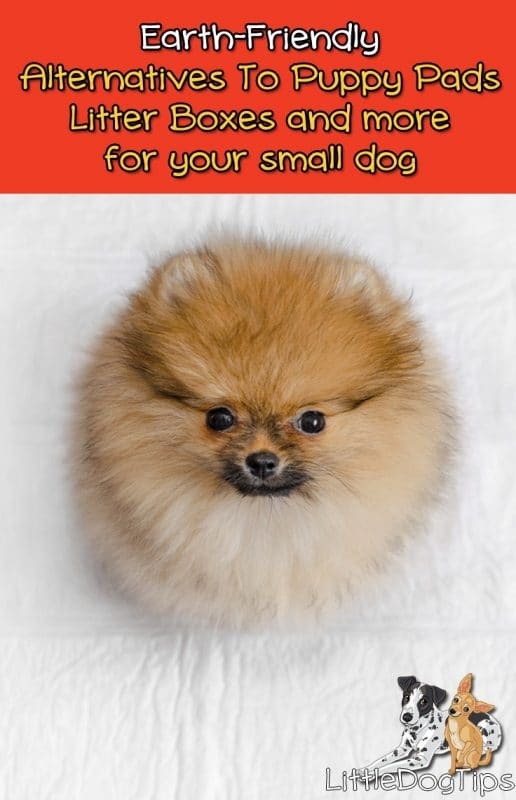 Your dog might tear them up. Or you might simply hate the waste they create – diapers take 500 years to decompose in a landfill, though it’s unclear how long puppy pads take to break down, most brands are not biodegradable. Contains affiliate links – if you purchase through the affiliate links, we’ll receive a small commission to support our blog at no extra cost to you. We have not personally tried all of these products, and costs are subject to change. If you have an experience with one of these products, please share in the comments. For dogs: 25 pounds and under. Pros: self-cleaning, great for people with disabilities, or dogs that might go through a few pads per day. Cons: Some dogs are afraid of the mechanism. Expensive to set up, and replacement rolls are more expensive than some pads. Biodegradable? Depends. You can put potty pads inside, or biodegradable litter or newspaper – your puppy wouldn’t get ink on her paws because of the protective grating. Pros: Keeps paws clean, can be used with any lining, affordable. Easy to hose off outdoors. Cons: Cleaning poop off the grate could be a challenge. Does require cleaning, but keeps mess contained. Cost: $26.99 for pack of 2 – lasts about 300 washes. Biodegradable? Reduces disposable waste, but it’s unclear if it is made of biodegradable materials. Pros: Affordable, large, reviews report that they are sturdy and very absorbent. Cons: Must be laundered, but reportedly hold up well to washing and do not retain odors. Dog may acclimate to pottying on any household fabric, though reviews do not reflect whether this is common. For dogs: Any size, expansion packs for large dogs available. Pros: Urine soaks into the real grass and sod, only solid wastes need to be cleaned daily. Absorbs odor. Can last up to a month, can be cheaper than traditional pads. Dogs naturally attracted to the organic materials. Cons: Dogs might eat the grass, dig it up or play in it. Biodegradable? No, but you can use biodegradable litter. Pros: Larger than a cat’s litter box with a wide front opening. Can use the litter of your choice. 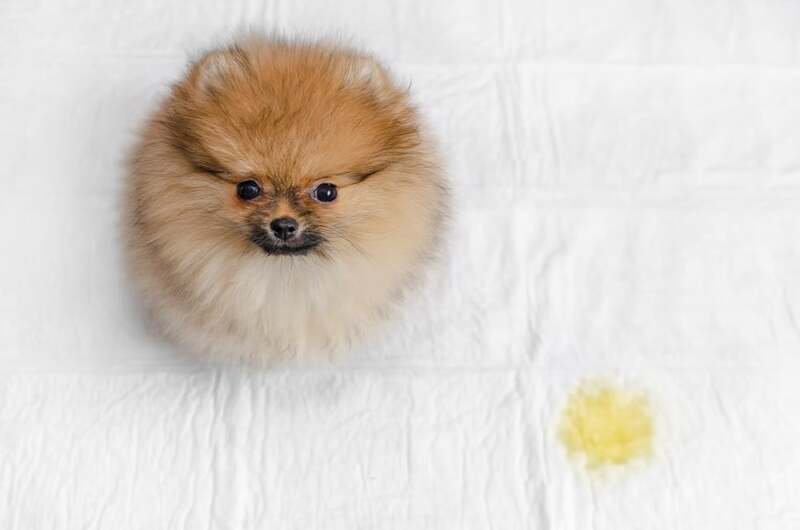 Urine should absorb into the litter more easily than a pad. Potentially less odor than a pad. Cons: Some dogs might chew, eat or dig in litter. Great advice on the use of puppy pads. These are so essential when potty training a new puppy. Thanks for the list. Like eco friendly or biodegradable products, you want to know that performance of the product is affected, and that the product will benefit the environment and isn’t just marketing hype or slight of hand. An amazing post and very informative, thanks for sharing the list of diapers. It will definitely prevent a lot of people from bad experience using local brands. Thanks and keep sharing informative posts.